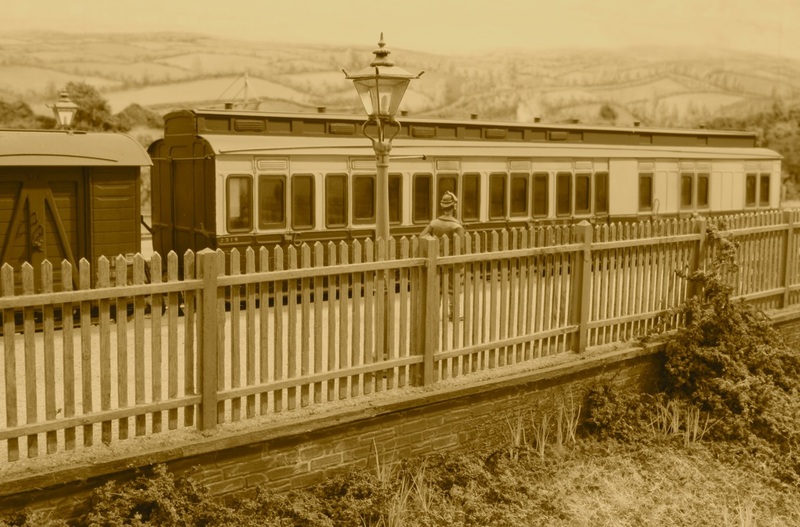 A few portraits of the Royal train to start with then, and I will include some better views and more detail shots of the King & Queen saloons when I can. Some of the larger locomotives can take turns at the head of the fantastic L.M.S. Royal train which appears now and again. 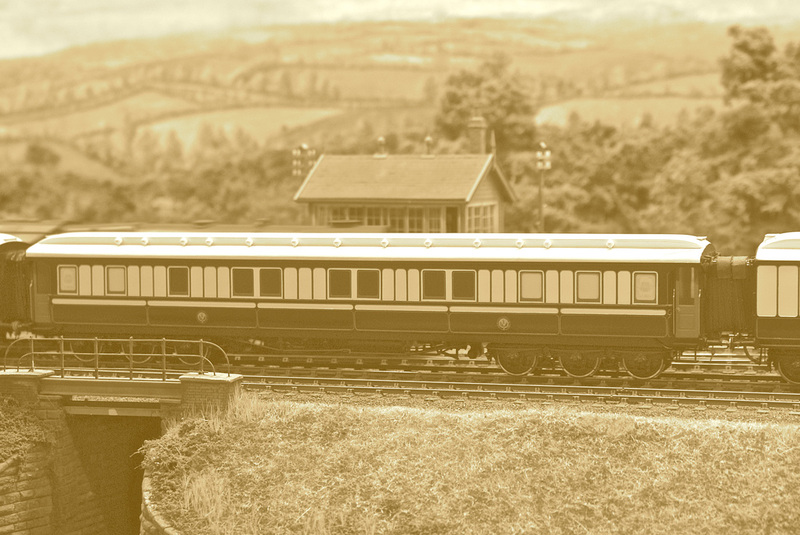 A matched rake of Wolverton built eight and twelve wheeled carriages make up the train, with the King and Queen Mary saloons Nos 800 & 801 in the centre with their carved and gilded decorations. 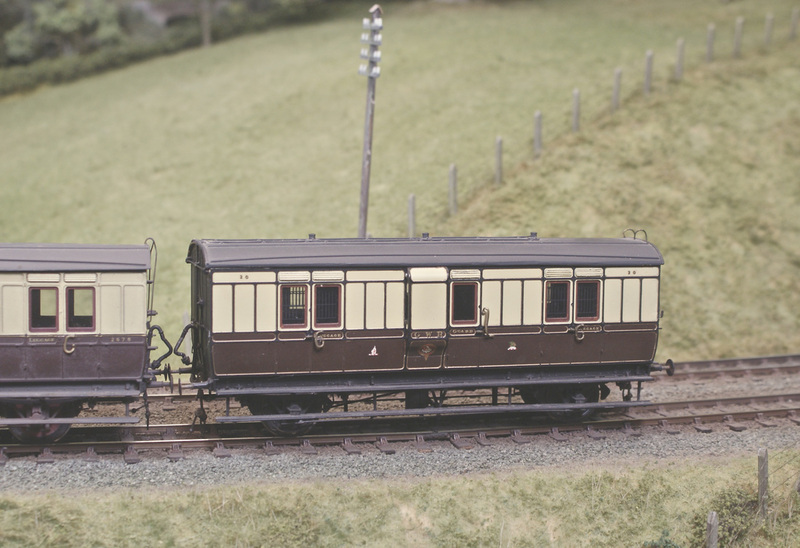 The interiors and saloons have all been detailed in exquisite miniature by Chris Wesson who built the rake from Trevor Charlton side etches, with a great deal of research and dedication. 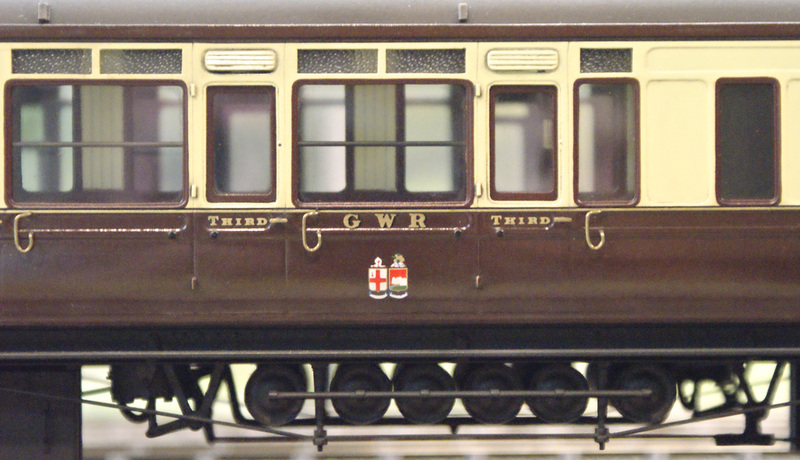 The kitchen end of the 12 wheeled dining carriage has etched glass lights, each with the Royal coat of arms at centre. 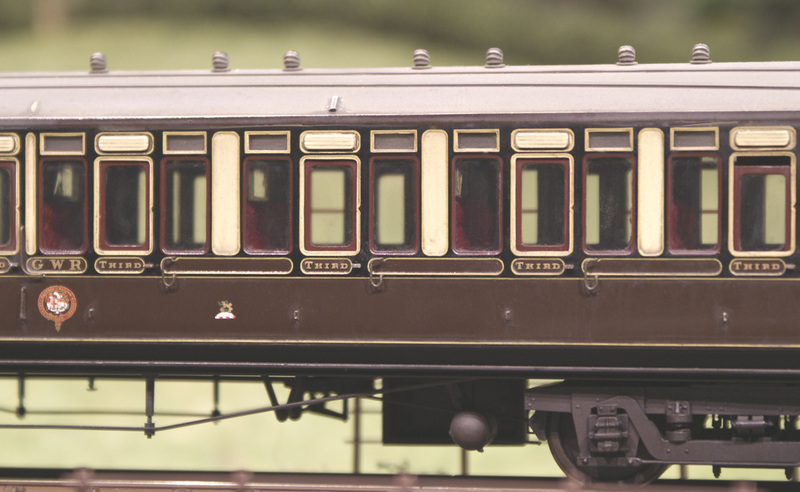 The end doors, springs and axlebox covers are picked out to match the King and Queen saloons, in varnished light brown. 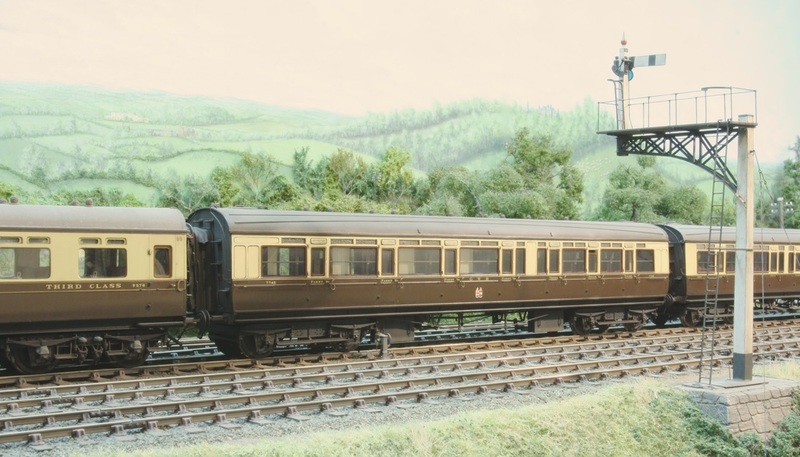 One of the Royal train's end brake carriages (Nos 5154/5) was fitted out with a generator and a control panel in later years, providing and distributing the power to run the latest electric appliances. 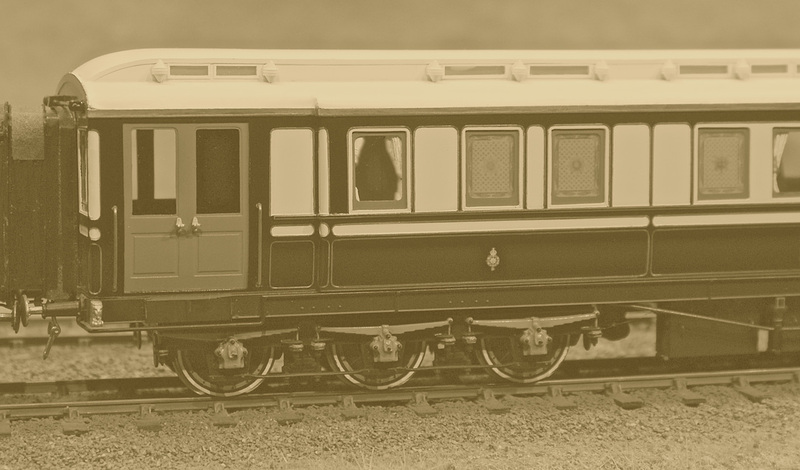 The overnight Royal sleeper, with the generous allowance of cabin size apparent by the width of the panelling between the windows. 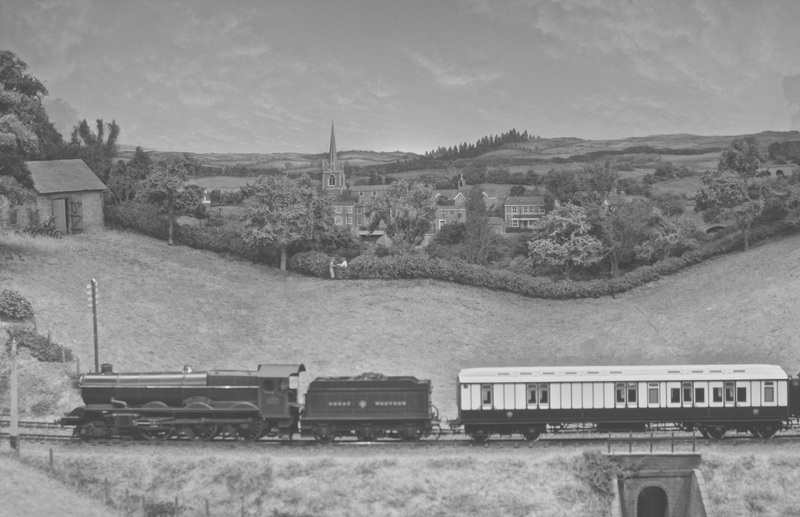 A King class locomotive is an appropriate choice of motive power, and the Royal train heads south west into Wales. 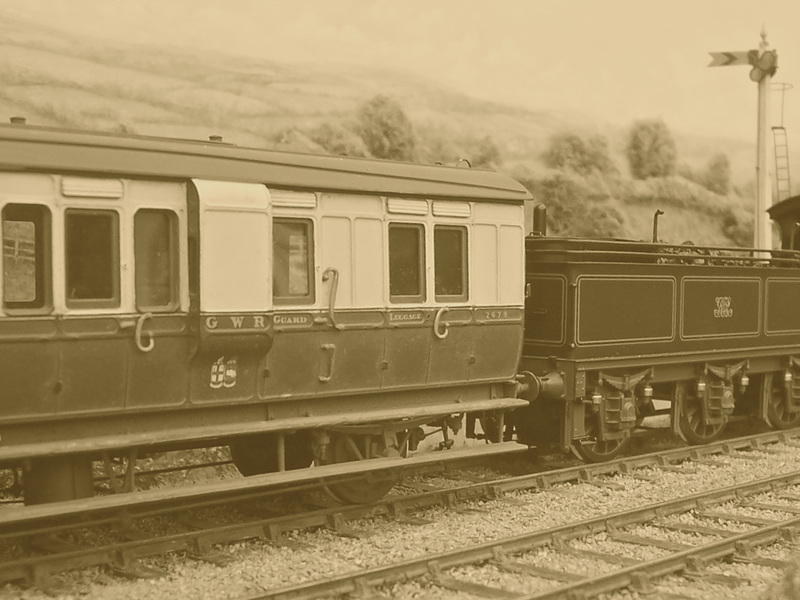 The compartments of the brake carriages at either end were for some of the many attendants. 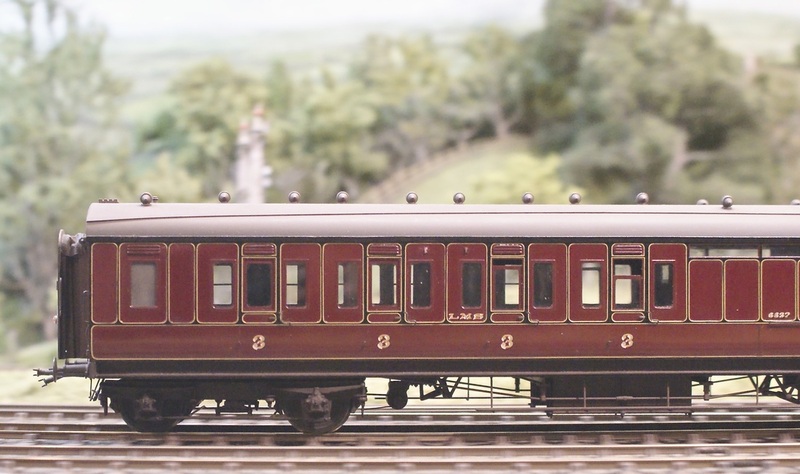 Clerestory compartment 3rd carriage No 3313 in 1898 livery. Photo by Lee Marsh. 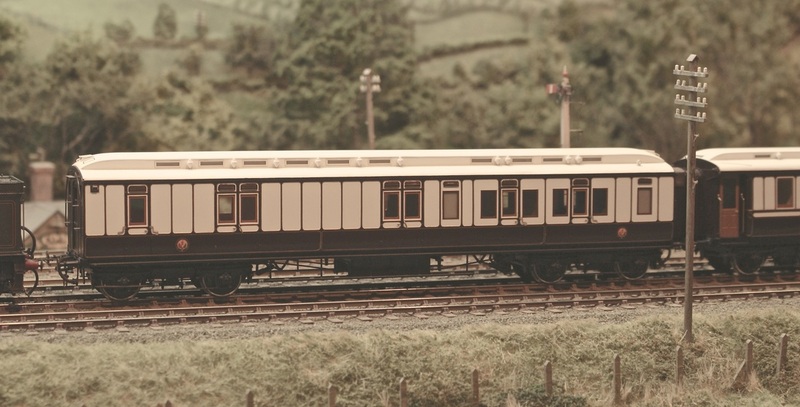 A Toplight Corridor brake third in the post war chocolate and cream livery with single waist lining. this one uses CPL etches and castings inside and out. 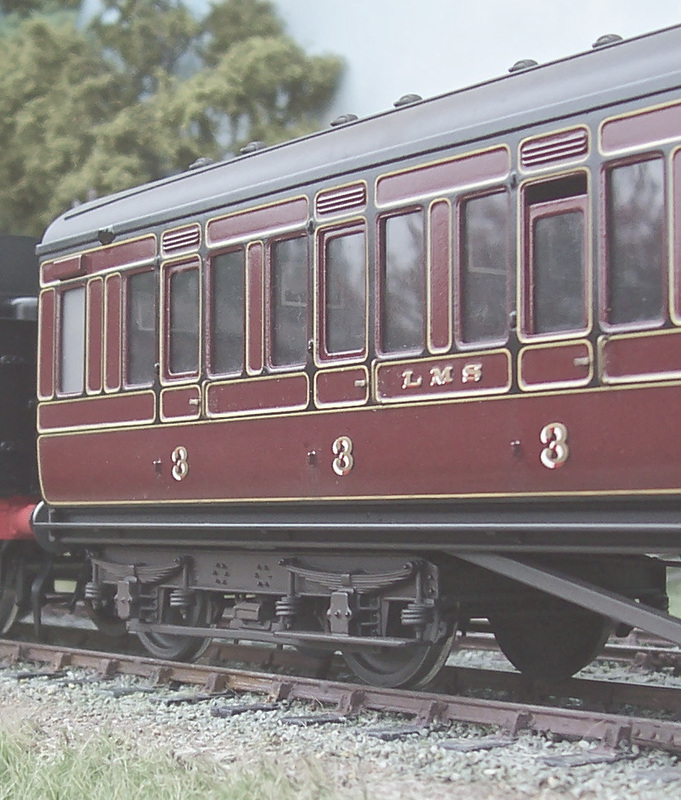 A better detail of one of the Corridor Third carriages. 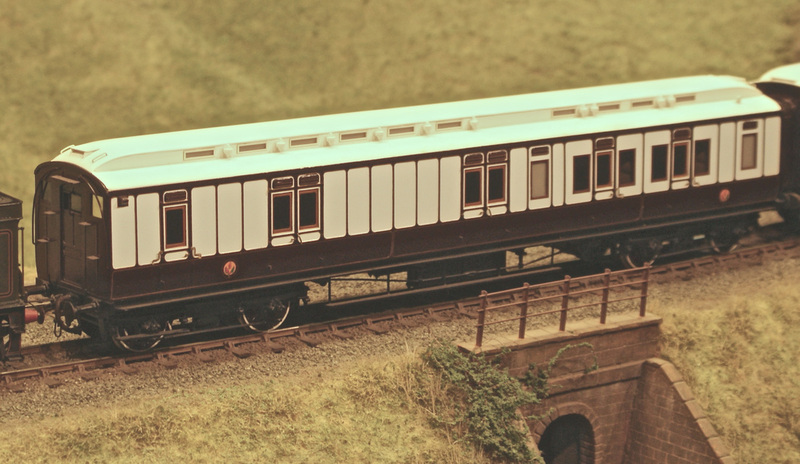 Built to Diagram C17 in April 1898, it is seen here as new in the early fully lined livery, with full underframe and roof detail. The compartment interior partitions have luggage racks, paintings and mirrors. As you can see in this close up, the upholstery is also buttoned. Detail by Lee Marsh. 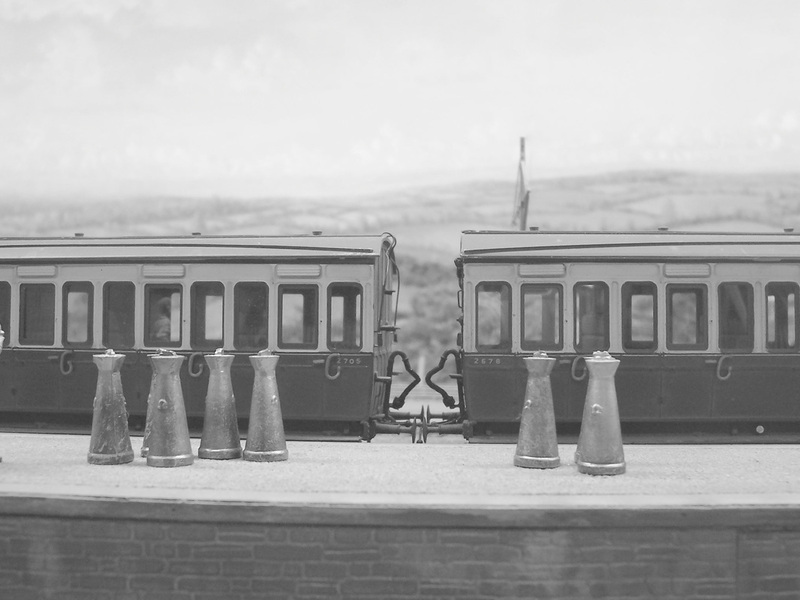 Nos 2705 & 2678 wait for the next run to Hay-on Wye. This has the early fully lined Garter crest livery, with American equalised beam bogies. No 20 is an elliptical roof Dean full brake with panelled centre duckets. 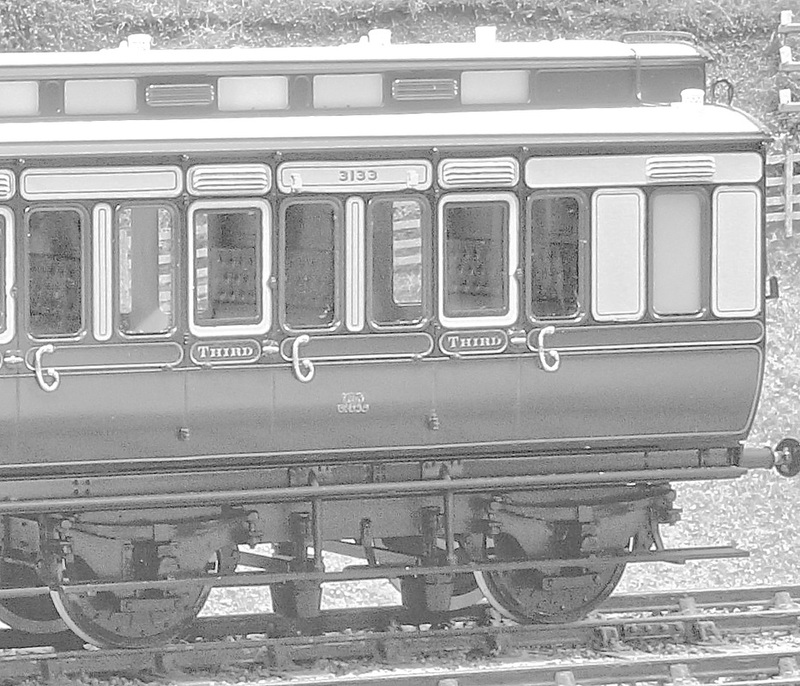 Various four wheeled third class four wheeled carriages. A G.W.R. Dreadnought diner follows a Toplight staggered corridor third class carriage, single lined but still written in gold serif with black drop shadows. 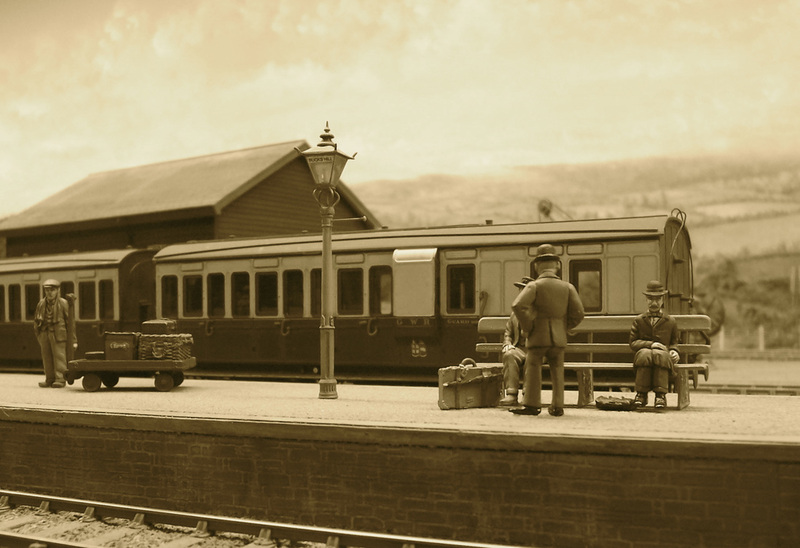 3rd class compartment carriages stand in the bay platform. Four wheeled Dean Brake Third with a step level grab handle and a panelled ducket for the guard. An L.M.S. Corridor compt 3rd in varnished lake with its mouldings picked out in black and gold.